Schiaparelli scarf in silk twill with Man Ray "Natasha" print. 35.5 in x 35.5 in (90 x 90 cm). For in-store inquiries, use sku #2859491. 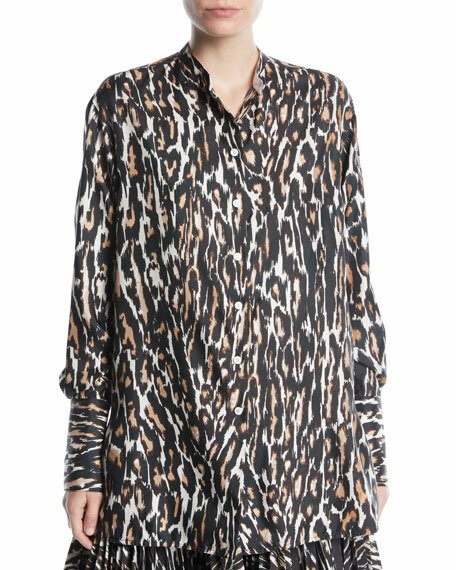 CALVIN KLEIN 205W39NYC leopard-print silk twill blouse. Band collar; button front. Long sleeves; button cuffs. Classic fit. Yoked back. Shirttail hem. Made in Italy. 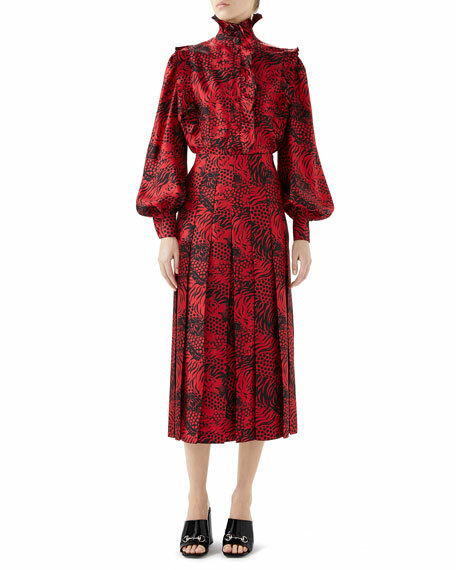 Model's measurements: Height 5'9"/175cm, bust 31"/79cm, waist 23"/58cm, hips 34"/86cm, dress size US 0/2. 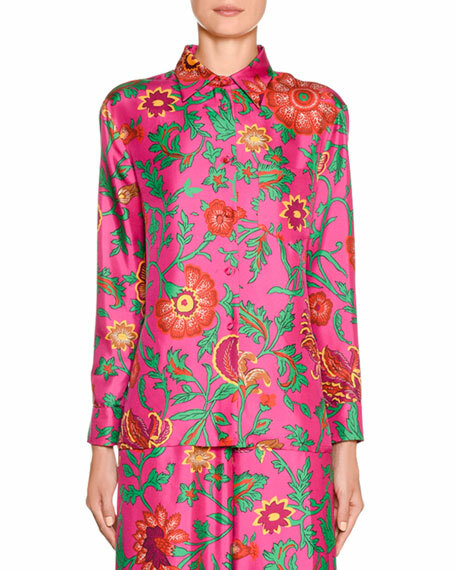 Double J shirtdress in multicolor lily print silk twill. Mandarin collar; button front. Long sleeves. Fits tightly across the chest and arms. Side slip pockets. Flounce skirt. Maxi length. Flowy fit. Silk. Made in Italy. Silk twill blouse with graphic tigers print & ruffled trim. High stand collar. Button front. Long, blouson sleeves. Classic fit. Made in Italy.